Over the past few days, we’ve heard quite a lot about the upcoming Moto Z2 Play with rumors hinting at its launch on June 1st, at least in Brazil. It was later followed by an announcement by Motorola Canada that the company will launch a new device on June 1st. 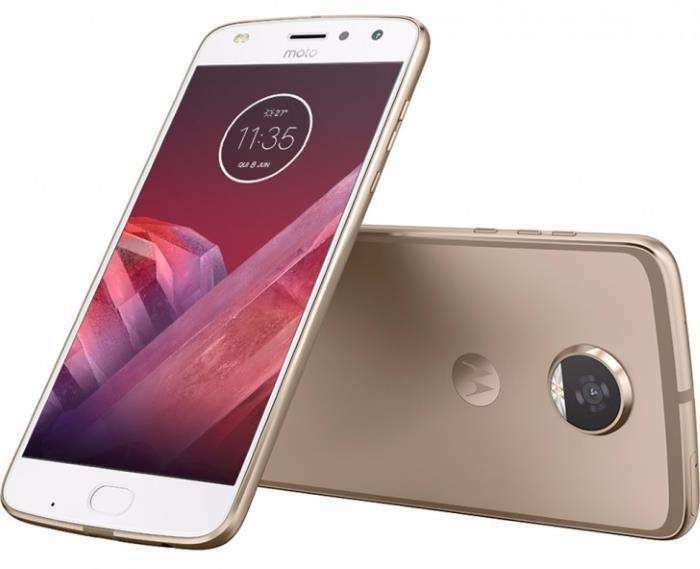 Recently, the alleged Moto Z2 Play was spotted at a Brazilian retailer’s website, listing the specifications of the upcoming handset. Apart from the official press render, the listing reveals some of the things about the specifications we already know about the handset. The listing suggests the handset will come wit ha 5.5-inch display sporting a resolution of 1920 by 1080 pixels with the processing handled by a 2.2-GHz octa-core processor paired with 4GB of RAM and 64GB of internal storage. The handset also comes with a Dual Pixel and laser autofocus, dual-LED flash, and 4K video recording, and a 5 MP front-facing camera, dual-SIM functionality, NFC, 4G, Bluetooth 4.2, Wi-Fi, and runs Android 7.1 Nougat as its operating system. The handset is priced at BRL 2,699 (almost $830) — it’s quite high but it won’t be the same in every market as each one has a different tax rates and duties. We’ll update you as soon as the handset is officially announced.